With seed stitch details and a wide button band, the MARKET cardigan is a classic cozy layer for everyday. 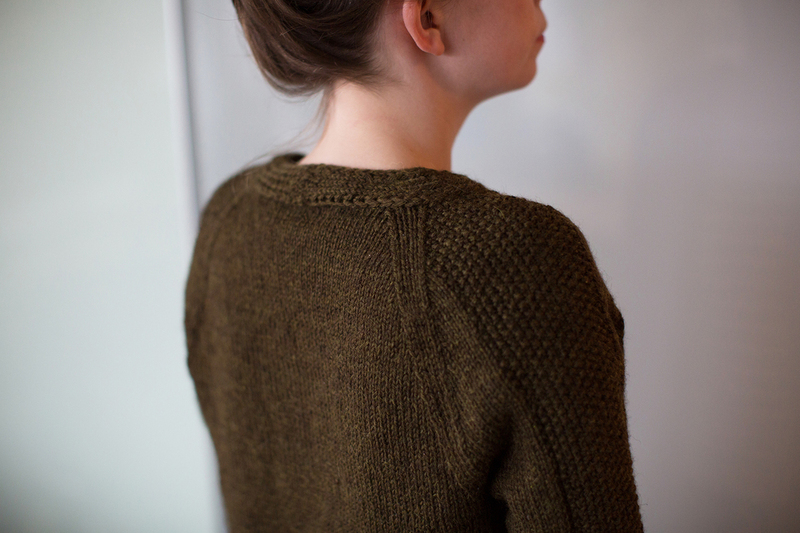 The body and button band are worked in one piece from the bottom up, and sleeves are joined before raglan shoulders and short-row neckline shaping form the yoke. Skills required: long tail cast on, stockinette stitch, seed stitch, increasing and decreasing, short rows, working on double pointed needles, three-needle bind-off, buttonholes.